A dirty screen can cause eye strain, impair your ability to work and look unsightly. Regular cleaning of your screen will help to prevent this. Allsop makes their Computer Screen Cleaning Wipes in a convenient re-sealable tub. This is a tub of 100 single use, disposable lint-free wipes. A dirty screen can cause eye strain, impair your ability to work and look unsightly. Regular cleaning of your screen will help to prevent this. 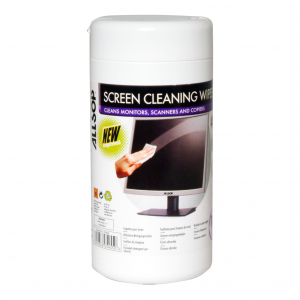 Allsop makes their Computer Screen Cleaning Wipes in a convenient re-sealable tub. This is a tub of 100 single use, disposable lint-free wipes. You can easily grab one at a time, without ripping open little paper envelopes. And if you need a bigger wipe, just grab a couple at a time. You decide how much is enough. 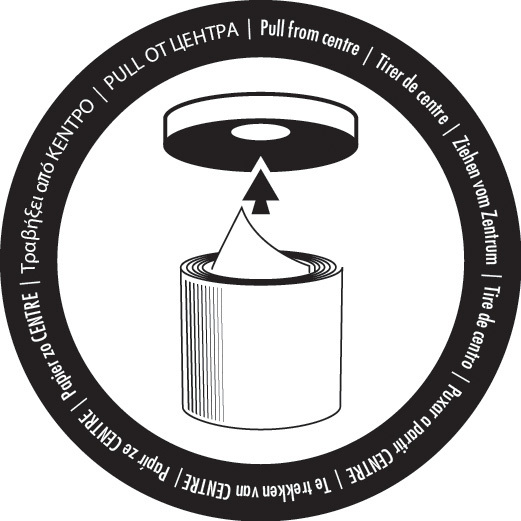 The wipes themselves are made from dirt-grabbing fibers that gently clean and remove dirt and debris. The wipes are alcohol free, non-toxic and 100% biodegradable. Suitable for use on LCD and Plasma Screens. Tub containing 100 single use wipes.